Savannah, Ga. – Savannah Technical College’s Historic Preservation program has developed a hybrid program for students to take courses online and in-person to earn a technical certificate of credit (TCC). The new Historic Preservation Program Assistant TCC has been designed to provide an academic foundation to those already working in the historic preservation field or with an interest in exploring the field. The first hybrid program of its kind provides students with the ability complete 75 percent of the material online, while still gaining relevant hands-on experience through various face-to-face group activities. Students will learn the fundamental theories, practices, and preservation methods that will allow them the opportunity to increase their abilities to act as stewards and advocates for historic buildings and landscapes. Upon completion of the program, student wills receive a 24 credit TCC, as well as have completed two semesters worth of the academic classes required for the Historic Preservation and Restoration Associate Degree. Students enrolled full-time are projected to complete the TCC in three terms. Students enrolled in this program may qualify to receive the HOPE Career Grant. “Our intent is to provide additional opportunities for individuals seeking to elevate themselves occupationally, or those that would like additional skills with which to protect and preserve their own communities,” said Curran. As the only public hands-on Historic Preservation program in Georgia and one of seven in the U.S., Savannah Technical College has led the way in preservation education, specializing in training not typically held by construction workers. The program has gained international recognition and has contributed to a number of community-based preservation projects in the surrounding communities. 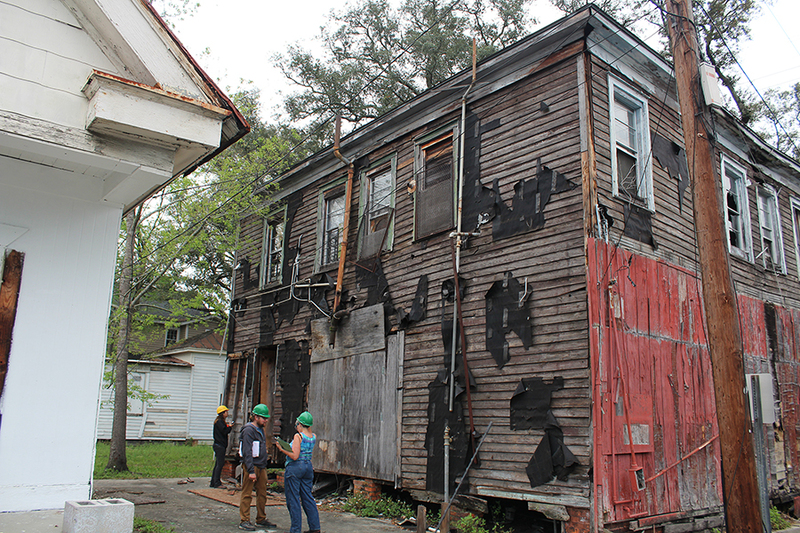 Traditional Building Magazine named Savannah Tech’s Historic Preservation program one of the nation’s Up and Coming programs. STC’s fall semester starts August 20, and new students are encouraged to apply by August 3. For more information visit:www.savannahtech.edu/CenterTraditionalCraft, www.savannahtech.edu/HPHybrid, or contact STC’s Historic Preservation Department Head Benjamin Curran at bcurran@savannahtech.edu or 912.443.5864.